It’s been a minute since I posted anything here because I’ve been swamped producing client videos. I started 2017 producing a documentary for CNN’s Great Big Story in L.A. Then we drove cross country to Texas then Florida to visit family. From Florida we jetted off to Mexico to produce three short films for Barcelo Hotels, just like last year in the Dominican Republic. 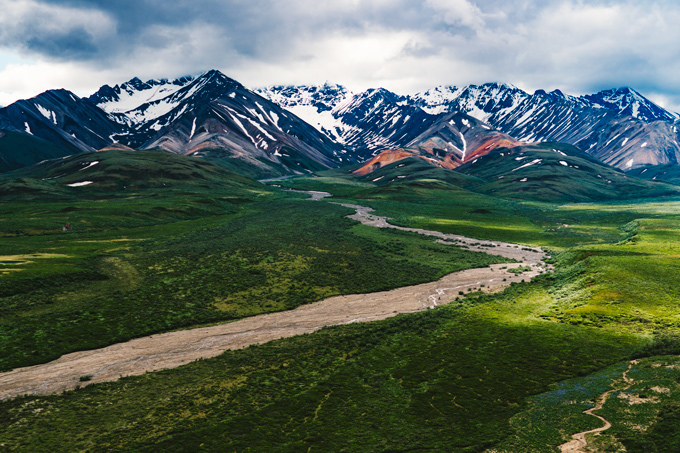 Also in June, we landed in Alaska to film, photograph, and write for Matador Network and Explore Fairbanks. We set sail from Alaska to Vancouver to explore a city I had heard so much about, but never experienced. I loved it. I’ll be able to share my Mexico films with you in September. But, without further adieu, here is my Alaska film! Fairbanks was the jumping off point for a journey into Alaska’s interior. I went during summer solstice. With 24 hours of daylight above the Arctic Circle, I never saw the sun set. I then set sail from Seward to Vancouver along the Inside Passage. Parts of this trip made possible by Matador Network and Explore Fairbanks. Stay tuned for more Alaska coverage! Does this video inspire you to visit Alaska?